The directory structure of struts 2 is same as servlet/JSP. Here, struts.xml file must be located in the classes folder. 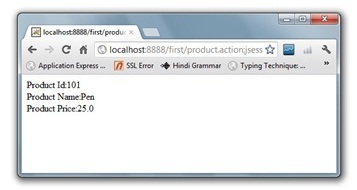 This jsp page creates a form using struts UI tags. To use the struts UI tags, you need to specify uri /struts-tags. 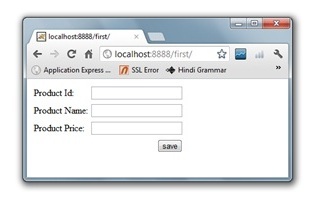 Here, we have used s:form to create a form, s:textfield to create a text field, s:submit to create a submit button. In struts 2, StrutsPrepareAndExecuteFilter class works as the controller. As we know well, struts 2 uses filter for the controller. It is implicitly provided by the struts framework. This is simple bean class. In struts 2, action is POJO (Plain Old Java Object). It has one extra method execute i.e. invoked by struts framework by default. It is the important file from where struts framework gets information about the action and decides which result to be invoked. Here, we have used many elements such as struts, package, action and result. struts element is the root elements of this file. It represents an application. package element is the sub element of struts. It represents a module of the application. It generally extends the struts-default package where many interceptors and result types are defined. action element is the sub element of package. It represents an action to be invoked for the incoming request. It has name, class and method attributes. If you don't specify name attribute by default execute() method will be invoked for the specified action class. result element is the sub element of action. It represents an view (result) that will be invoked. Struts framework checks the string returned by the action class, if it returns success, result page for the action is invoked whose name is success or has no name. It has name and type attributes. Both are optional. If you don't specify the result name, by default success is assumed as the result name. If you don't specify the type attribute, by default dispatcher is considered as the default result type. We will learn about result types later. It is the view component the displays information of the action. Here, we are using struts tags to get the information. The s:property tag returns the value for the given name, stored in the action object. To run this application, you need to have the struts 2 jar files. Here, we are providing all the necessary jar files for struts 2. Download it and put these jar files in the lib folder of your project. Finally, start the server and deploy the project and access it. 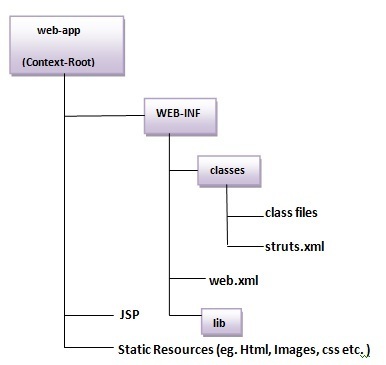 To simply create the struts application, you may now use IDE such as eclipse, myeclipse, netbeans, RAD, JDeveloper etc.